This is a living document developed from the knowledge and experience of the organizations and individuals participating in 50in10. 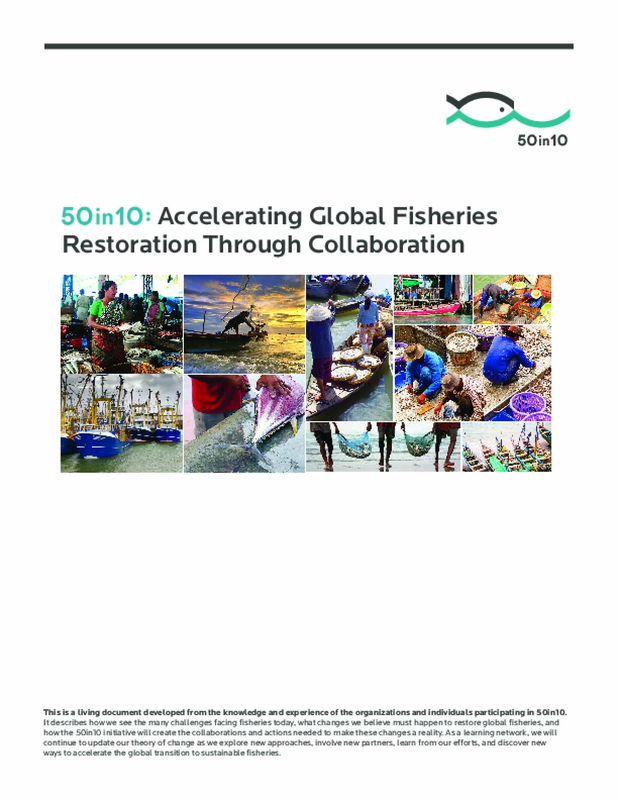 It describes how the participants see the many challenges facing fisheries today, what changes they believe must happen to restore global fisheries, and how the 50in10 initiative will create the collaborations and actions needed to make these changes a reality. As a learning network, the participants will continue to update their theory of change as they explore new approaches, involve new partners, learn from their efforts, and discover new ways to accelerate the global transition to sustainable fisheries. Copyright 2014 by 50in10. All rights reserved.